“Modern Times” – written by Jacques Rancière originally in English – is made of four texts, three of which have their origin in lectures given in several parts of ex-Yugoslavia at the invitation of Edicija Jugoslavija (Brussels/Belgrade) and Multimedijalni institut (Zagreb). The texts successively deal with politics, artistic modernity, dance and cinema. The chapters are: (i) Time, Narration, Politics, (ii) Modernity Revisited, (iii) The Moment of Dance, (iv) The Times of Cinema. 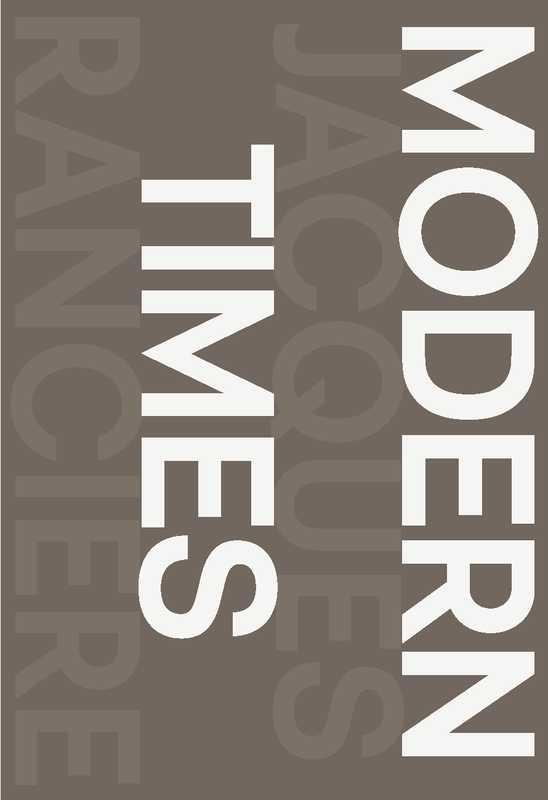 “Modern Times” is a volume in which the author in systemic and synthetic manner presents his general reflection on time, while also pointing towards a common time or moments of emancipation. Those are for the author resumed perfectly in the gesture of a wave: between inactivity and activity, before and after there is always a common sea full of movements and moments ready to break the horizon of a predictably cemented present.